Have you ever taken the time to consider the culture of medicine in the U.S.? This is a major component of physician wellness, as the beliefs and values that are generally shared by the medical community impact us in ways we may not even realize. And while some of them are beneficial, others are actually harmful to both doctors and patients. In this episode, I explain the shared culture I see in the medical community and its impact on physicians. 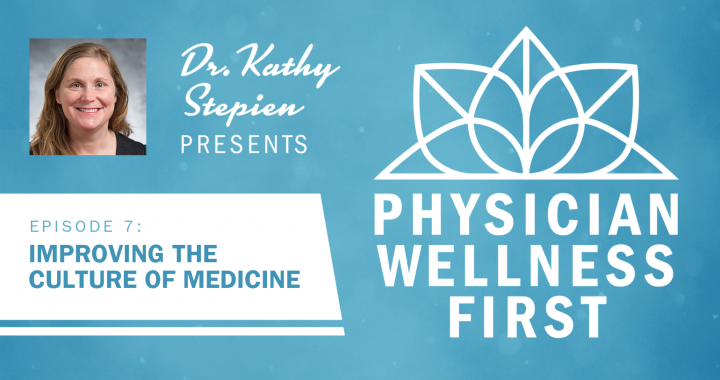 You’ll also hear why the value we place on perfection doesn’t serve us, common self-sacrificing habits we all need to be mindful of, and the customs and beliefs I hope we can all work together to bring to medicine. How I define medical culture in the U.S.
Why the larger culture of Western medicine is relevant to physician wellness. Common values and beliefs within the medical community. Which cultural values in medicine hurt us. Examples of self-sacrificing habits that are harmful to physician wellness. A list of customs and beliefs I want to see within medicine. An awareness exercise to help you reflect on your core values.